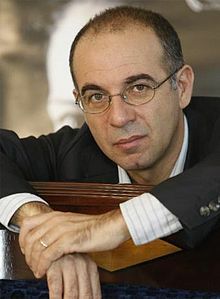 Giuseppe Tornatore (born 27 May 1956) is an Italian film director and screenwriter. He is considered as one of the directors who brought critical acclaim back to Italian cinema. In a career spanning over 30 years he is best known for directing and writing drama films such as The Legend of 1900, Malèna, Baarìa and The Best Offer. Probably his most noted film is Nuovo Cinema Paradiso, for which Tornatore won the Academy Award for Best Foreign Language Film. He has also directed several advertising campaigns for Dolce & Gabbana. Tornatore is also known for his long-standing association with composer Ennio Morricone, who composed music for thirteen Tornatore feature films since 1988.